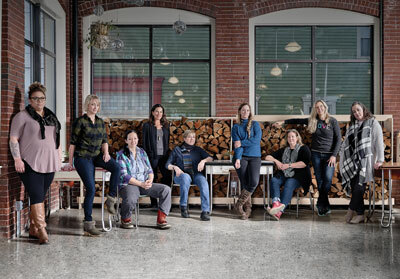 Nina Fuller’s photojournalistic résumé includes work in The New York Times and The Boston Globe and a stint as one of the Portland Press Herald’s earliest female staff photographers. 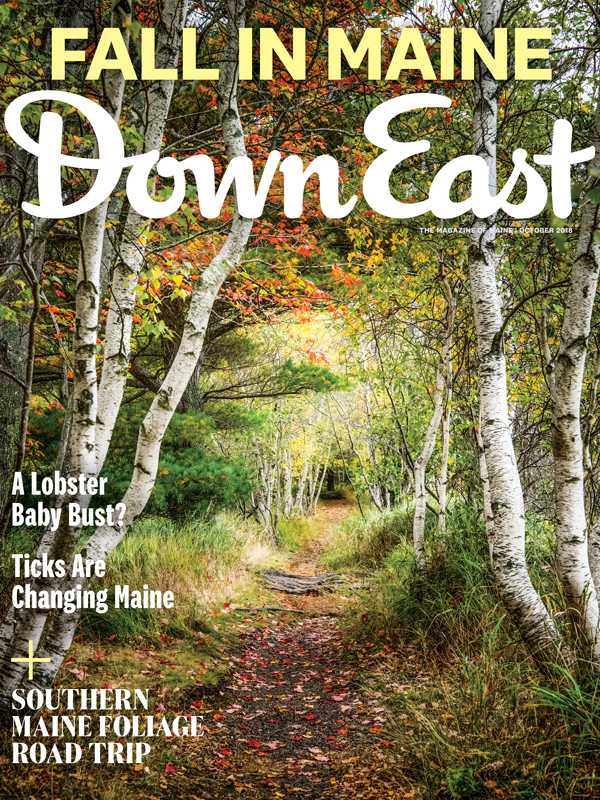 After moving to Maine in the early ’70s, she helped found the Wise Guide and the Independent, two of the cornerstones of Maine’s alternative press.  She’s toured the world shooting for clients like Land’s End and L.L.Bean, and her work as travel writer and photographer has appeared in publications from Horse & Rider to National Geographic Traveler. These days, she mostly photographs sheep. Ten years ago, after a chance encounter with a therapist-in-training, Fuller made a career change. She’d recently moved, with a couple of horses, from her home in the Portland suburbs to a 35-acre farm in Hollis, and at age 60, she went back to school for a master’s degree in counseling, with a concentration in equine-assisted mental health. 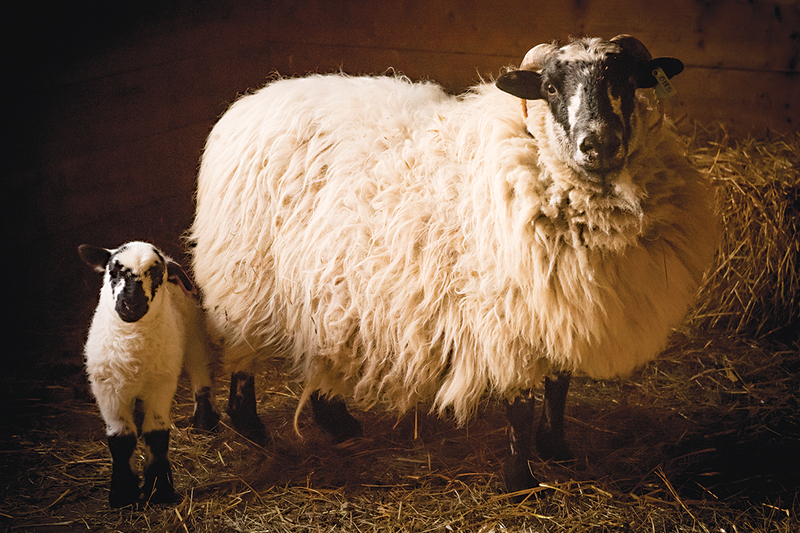 She was working on her degree in 2011 when she acquired her first few Scottish Blackface sheep. 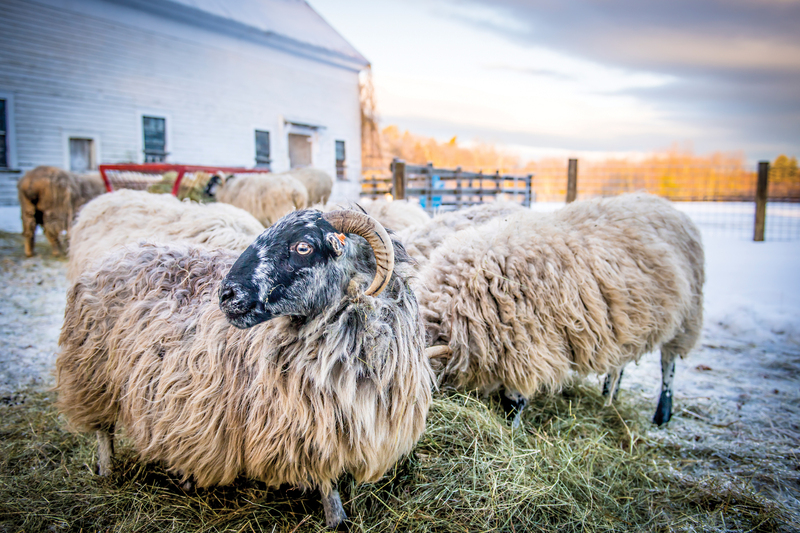 The day they arrived, she snapped a few photos and was mesmerized; she’s taken thousands of sheep photos since. 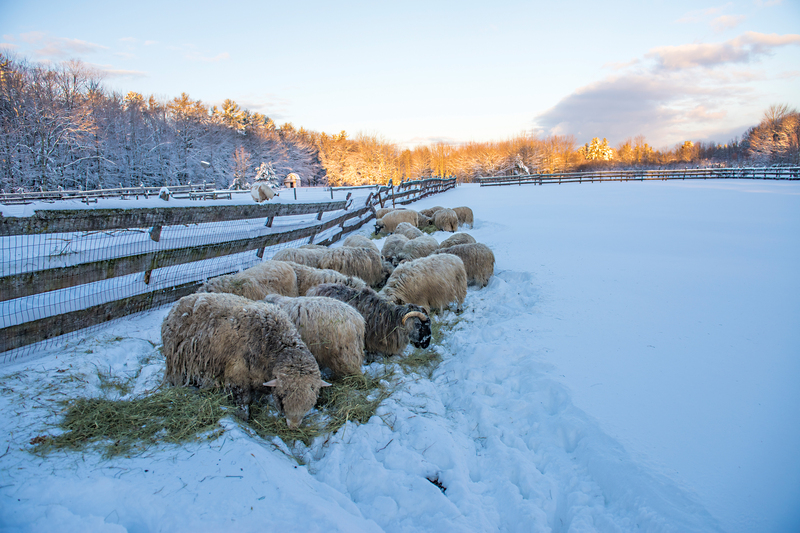 How much did you know about sheep when you brought them to the farm? I didn’t know anything. Zero. A friend of a friend had wanted to raise some, and there was this farmer who was getting divorced and needed to sell his. The friend said we’ll keep them at your place and be partners. I knew so little that I never even said, “What kind of sheep?” So they showed up, all 12 of them. Nine were pregnant, and in two weeks, those nine started having babies. Eventually, the other guy bounced, and I guess I thought I’d sell the sheep and lambs for meat. I didn’t really know anything about wool. I hadn’t cared much because he was going to be handling everything — I was only supposed to take care of them. Well, what happened was I fell in love with them. And when he left, I had like 59 sheep. The more I learned about the sheep, the more I learned I didn’t know. So I reduced the herd — I’m down to 29 now. 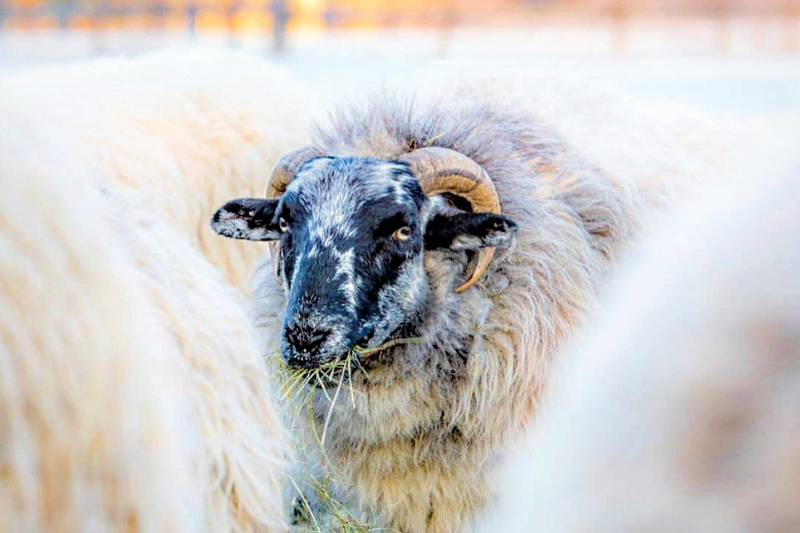 I have mostly Scottish Blackface sheep, and after a few years, suddenly everybody wanted to buy that breed. They’re small, and their wool is rough. 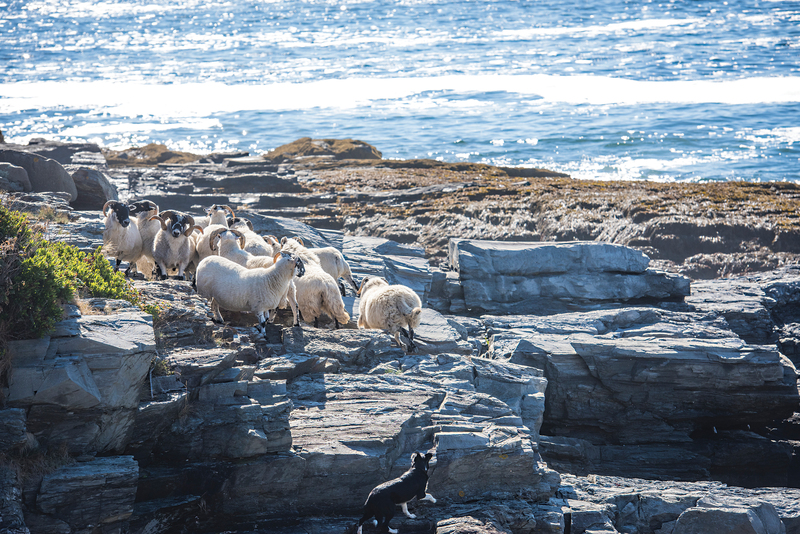 They make Harris Tweed out of it — it’s kind of a rug wool, and fiber people love it. I wanted to start a rug company, but I haven’t figured that out yet. So now people are buying my sheep from all over. 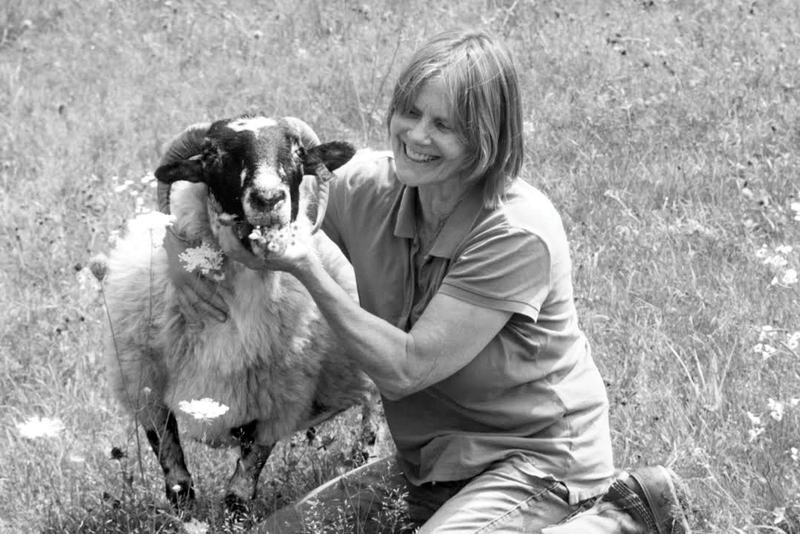 Fuller with Brenda, a sheep that liked to be hugged. 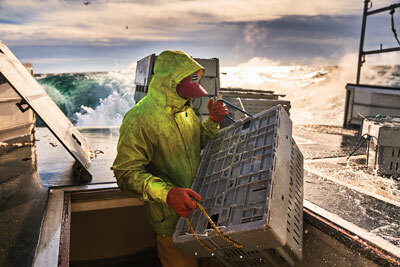 Fuller pays regular visits to Richmond Island, off Cape Elizabeth, to buy rams from Ram Island Farm, which maintains a herd there. 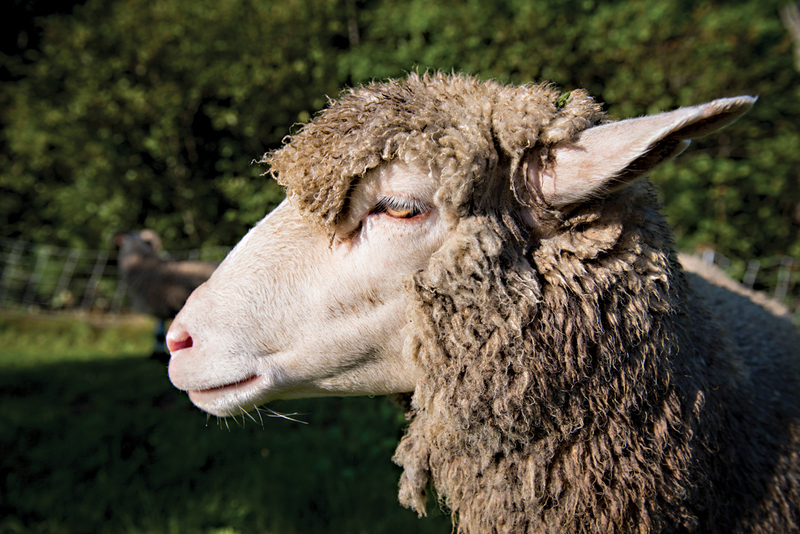 While most of Fuller’s herd are Scottish Blackface sheep, she keeps a couple of merinos as well. I haven’t figured that out yet either. I have a lot up there in the barn. I’ve sold some, but mostly I sell the sheep to other breeders. Occasionally to Evo Kitchen + Bar in Portland. Have you eaten a dish made from your sheep? I had a rack of lamb a few years ago. I’ve never kept any and prepared it, but I’ve sold some to friends for meat. And yet you name them, which I gather is unusual among farmers raising meat animals. I do name them. Emma and Pearl are my two merinos. I keep them, and then I sell their babies. Last year, I had a fundraiser where you paid $25 and got to name a lamb, and I couldn’t believe how excited people were about it. I don’t know if they knew they were naming some for Evo, though. 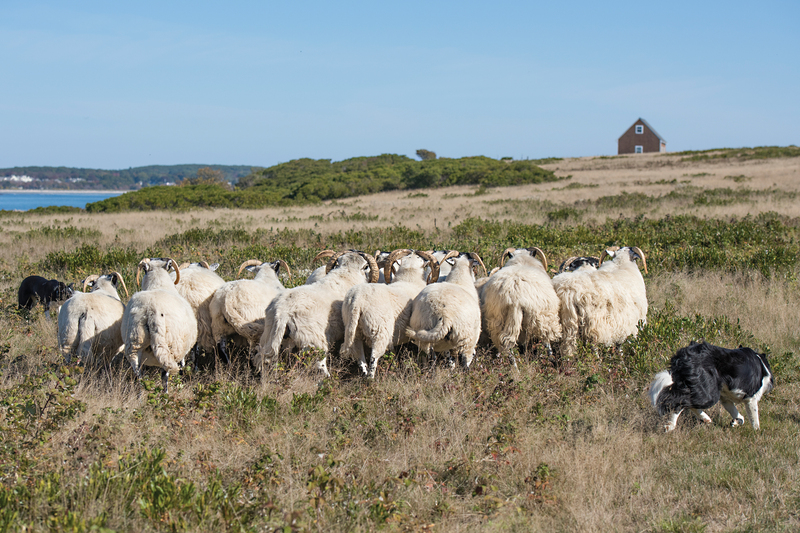 Do the sheep play a role in your counseling practice? Well, I don’t have a degree in sheep therapy, but the farm in general and all the animals, I think it’s all therapeutic. There are specific exercises we do with the horses, and they have their specific way, being very intuitive and able to read your feelings and all that. But I’ve had clients here who choose the sheep and just want to be with them. I have a donkey, a mule, a horse, a mini horse, and a pony, and I’ll say, choose the equine you want to work with. There’ll be this long silence, and then they’ll say, can I choose a sheep? And I’ll say yes, because I think just being in the presence of an animal is calming. If you were just watching me and my client and my animal, it probably wouldn’t look like much. If it was a horse, you might see us grooming it, walking it around, building a relationship with the horse, because that’s what it’s all about: relationships. If it happened to be a sheep, you might just see us talking, with the sheep there as sort of a comfort animal. But you’re talking about the same sorts of things a therapist in an office might be talking about? What does the sheep add? 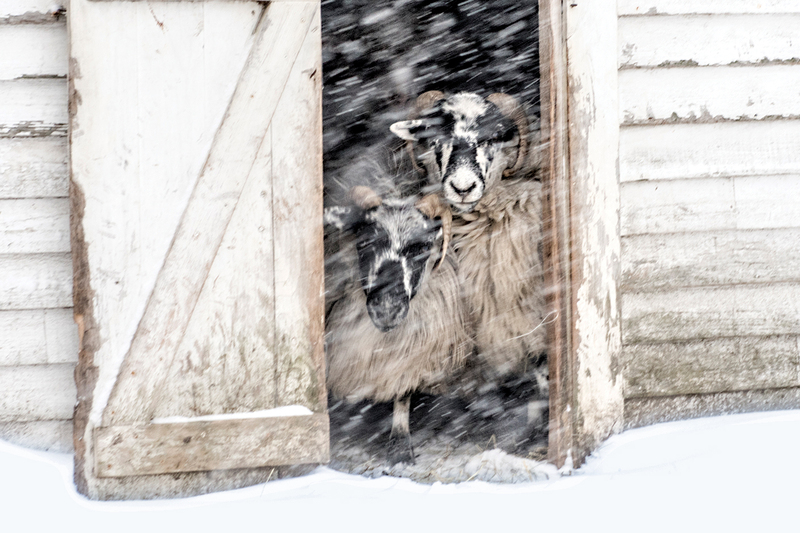 I had a sheep, Brenda, who died last winter, and she was really a special sheep. She allowed you to hug her, and the client would get down with Brenda and put their arms around her and put their face right into that wool. So if you’re someone who has trauma, relationship problems, fear of touching, of getting close, of letting anybody in, then just being able to do that, to have the contact of something warm and alive close to the skin in a non-threatening way — that’s therapeutic. That usually brings a lot of tears, because it’s like, oh my gosh, I haven’t allowed anybody to press up against me like that, and it feels completely safe. So what you’re trying to do is create a safe space, where you can say stuff that maybe you wouldn’t be able to say otherwise, or that might take a lot longer. 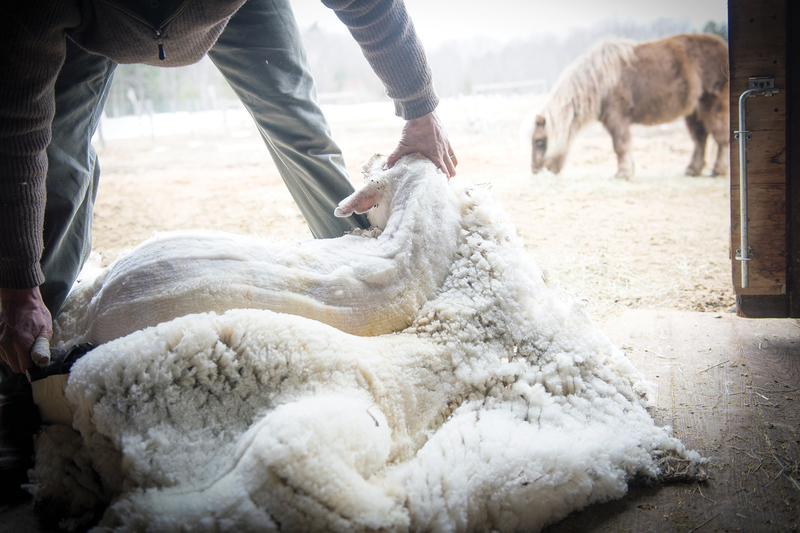 A mini horse grazes outside the barn during shearing, Fuller’s friend Chad Kelsey helps wrangle sheep so Fuller can administier vaccinations. How hard was the transition from photography to therapy? Well, how intimidating was it to go back to school? Oof. I hadn’t been in school since 1972, and I went to art school. I mean, I graduated from George Washington University, so it was like an actual school, but I don’t remember writing any APA papers. That was brutal. So I wrote my thesis on a protocol I developed called equine-assisted photography therapy. And I’ve since realized that I’ve just combined the whole thing: photography, therapy, art therapy. 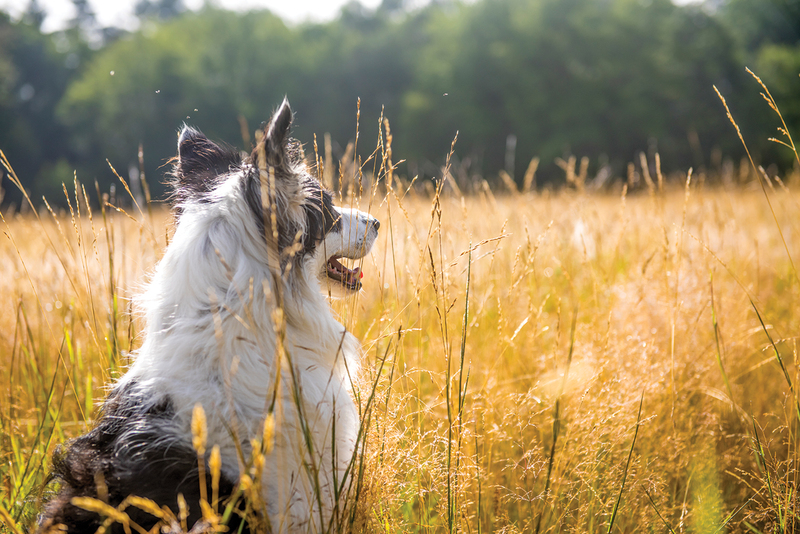 What is it you find so captivating about the sheep? For a long time, I photographed horses, and they have to be up and excited to have a good photo. It’s great when they’re in motion — they’re powerful, they’re dangerous. It’s a bit of an ordeal, and it’s really for youth. But the sheep look good just standing there. 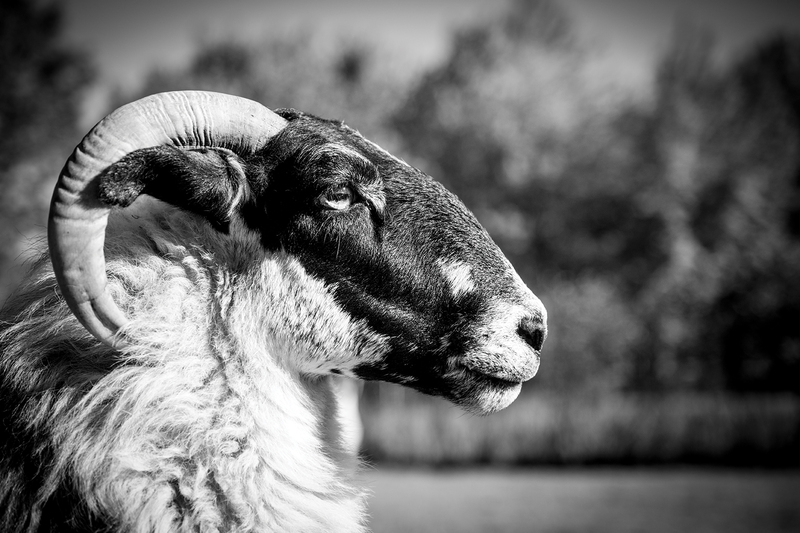 I photograph the sheep almost every day, and it’s not that I don’t photograph my horses anymore, but there is something very regal and steady and Buddha with the sheep. I think maybe the appeal makes sense when you think about a timeline of getting older, about my timeline. 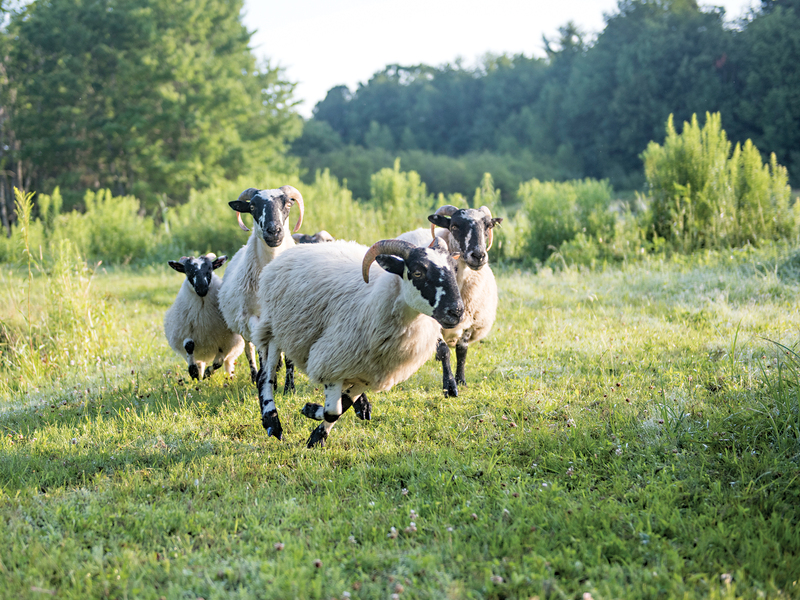 With the sheep, you don’t have to go “hee hee hee!” to get their ears up and their head up and tail up and get them to prance around looking powerful. They just are. 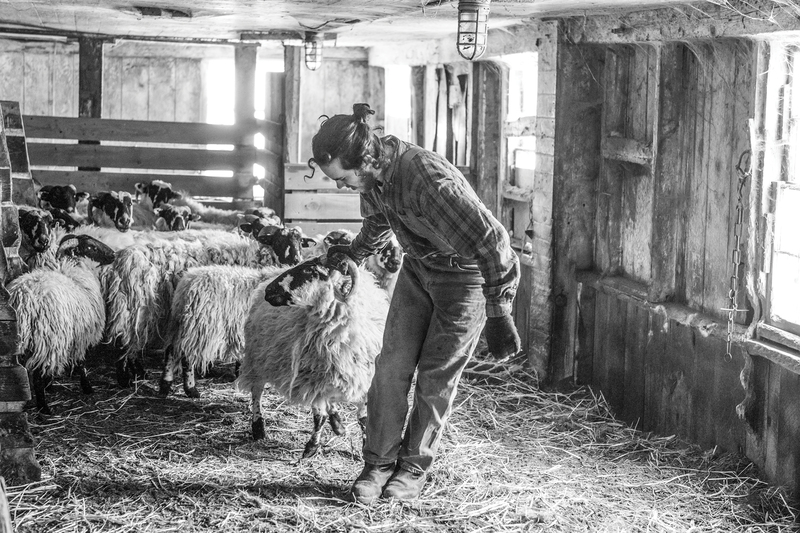 Jeff Burchstead from Wiscasset’s Buckwheat Blossom Farm helps Fuller shear her sheep in the spring. 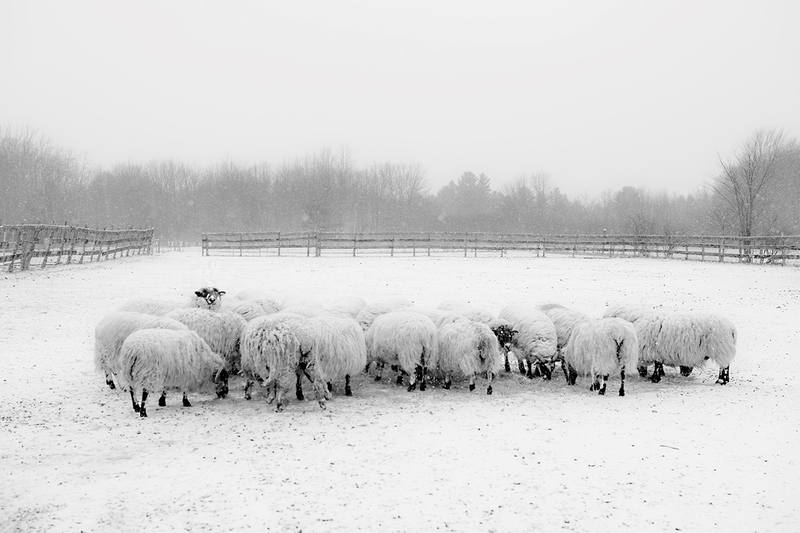 To see more of the sheep of Lily Brook Farm, follow @ninafuller on Instagram (or @emmaandpearl, her merinos). 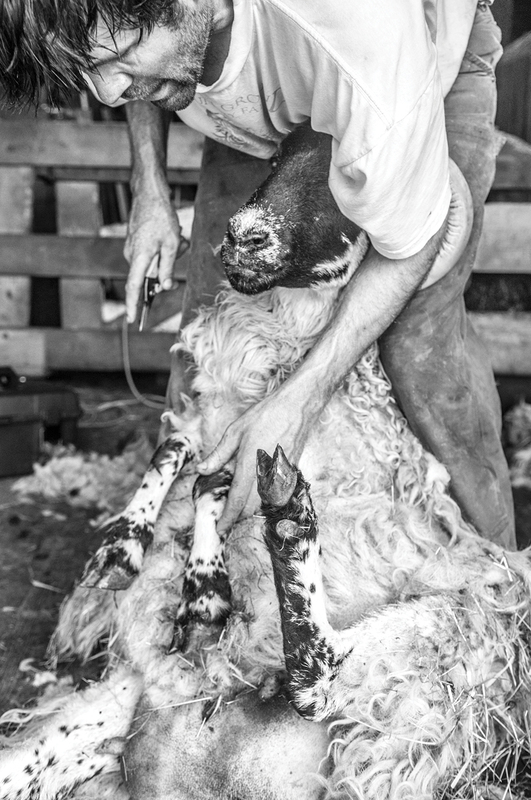 An exhibition of Fuller’s sheep photos opens at Portland Art Gallery on October 4. 154 Middle St., Portland. 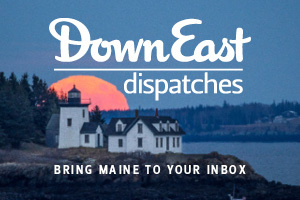 207-956-7105.